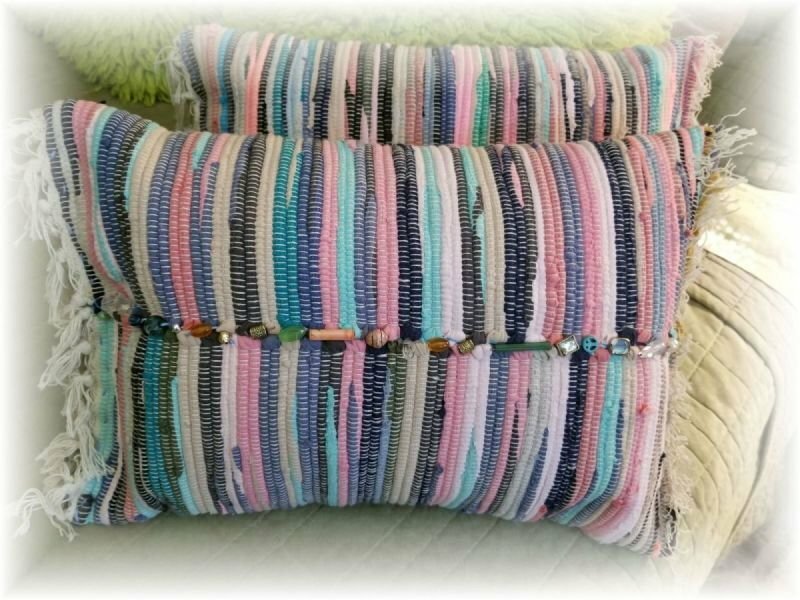 Pair of matching pillows made from the same double washed barely used vintage rag rug. Embellished with wild and free stitching, coloured embroidery floss and vintage beads. The pillows do not open so the form is sewn in. They each measure 17" long X 12". Hand washing only.